Today we talk about a skiing day from a Barcelona apartment. Before starting our trip to snowy places, we should gather all the required provisions. In this case, the most powerful tool (regardless of its simplicity) is the well-known check-list. In this check-list, we should answer questions such as: what kind of clothing will we need? Are we going to eat in the ski station canteen, or will we take our own meal? Do we prefer car, bus or train to go there? Once we have thoroughly prepared all our material, we are ready to leave our design apartment in Barcelona and start our skiing day. We have all the material we need, but do we know where are going? Don’t panic, because there is a wide range of different possibilities. 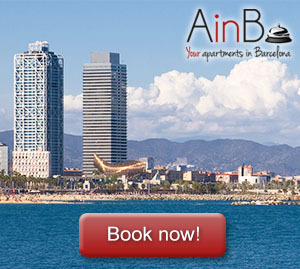 In our skiing day from a Barcelona apartment, we can choose between several ski stations with great levels of quality. Port del Comte, La Molina, Baqueira Beret or Vall de Núria are some wonderful places where we can enjoy descending beautiful mountains and discovering astonishing views of Pyrenees’ hills. After a whole day skiing through the mountains of Pyrenees, we will be completely worn-out. So, if you don’t feel like going to have dinner in a restaurant or taking a walk around the charming corners of Gothic Quarter, don’t do it! All those activities can wait until the following day. This afternoon, just order a delicious home-delivery dinner, take a bath and enjoy a film while you get asleep little by little. Our skiing day is over, but the great experience combining sports, nature, leisure and tourism is unforgettable.